Gearge Charamba is in Eastern Europe on a tour with President Mnangagwa. He made comments on the shutdown of the internet by the government in an interview with the ZBC whilst on this trip. At least he has not issued a silly lie like the Deputy Minister of Information, Publicity and Broadcasting Services, Energy Mutodi. Well the silly lying boat sailed when Econet notified its customers why the internet had not been accessible from Tuesday to Wednesday last week and then again on Wednesday night up to late Thursday afternoon. Access to social media was blocked early morning on Tuesday the 15th and it is still blocked right now. What Charamba says sounds reasonable and logical until you give it an extra second of thought. By saying that we can’t worry about the shutting down of the internet because we are counting losses that run into millions, he betrays his lack of understanding of the impact of the impulsive action to shut down the internet. Millions more were lost and more lives put in danger by shutting down the internet. Payments could not go through. some internet dependent medical and social services were inaccessible. Zimbabweans who have created employment for themselves online lost their jobs. Thousands that just wanted to be safe and to know what was going on so they could make decisions were immobilised. People did not go to work on Thursday and Friday because they had no information on what was going on. No information is worse than scary information. The internet is a reality of modern business and who would put their billions in a country where they can lose contact with those billions because some people took to the streets? Who would trust a government to be fair, consistent and stable when they think the switch to the internet is a toy to be played with? Oh yes we lost billions! By saying that the internet had to be shut because it was being used as a tool, Charamba is doing nothing but clutching at straws and making excuses. They might as well have shut down all that’s left of water supplies in the towns and cities because the ‘plotters’ have been drinking it and using it to survive. This is not guerrilla warfare were bombing fuel reserves was considered strategic. This is supposed to be a civilian government responding to protests against itself. Yes those protests became violent and that cannot be excused but neither can taking away a public utility. Charamba’s sense of ‘scales’ is wrong. 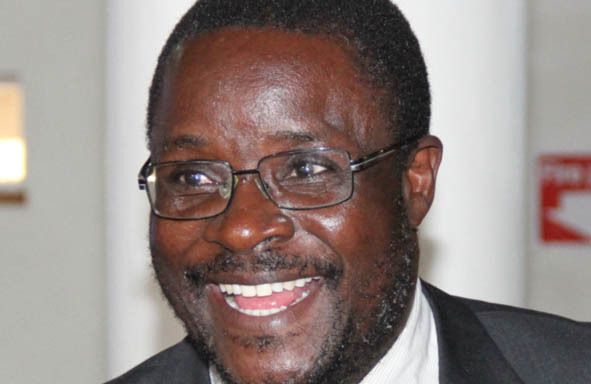 George Charamba says, “If they want uninterrupted internet, let them abide by the law.” Who does he refer to as ‘they’ and ‘them?’ The internet was cut off for the whole population. So the whole population has been breaking the law? By relegating us to ‘them’ the president’s spokesman is revealing a superiority syndrome that is not healthy to anyone when held by a person who occupies such a high office. Your reasoning shows that you have only lived in Zimbabwe and never bothered to look what other countries do when faced with same situation, security services takes over everything. Zim is still sharpening its skills, its a learning curve for the security services, RGM Bindura Uni graduates are coming to work boys, grow up!! Oh I know what others are doing and have done. Europe is on a crazy path when it comes to these liberties. That doesn’t make it right and that doesn’t mean we have to be silent. I refuse to do that. These guys shutdown the internet man. For me that is rather personal. It shows a disturbing lack of understanding on the part of government. It also shows something scarier than anything to me: They either do not have advisers or have very bad advisers and are willing to lash out impulsively so long as their hold on power is preserved. Even the government itself is counting its loses. Shutting down the internet should not even have been an option to be tabled. It’s not an option it is the nuclear button that should never be pressed ever again. Even WA has much more value than these guys think. It is an essential toolkit for the modern business. They should even have used the internet and WA to crowd source information about crimes being committed instead of thoughtlessly pulling the switch. We are at war, the authorities of ministry of Information and Publicity wants to delink us from any communications of what is happening everywhere in the country. That can also relegate us from knowing what the govt is doing pertaining to the events of the uprising and civil unrest in the country. Freedom comes with responsibility, it’s as simple as that! Freedom comes with responsibility, it’s as simple as that guys! Techzim, the quality of grammar and spelling in your articles seems to get worse by the day. Sometimes these articles read like some teenager has been unleashed on a text message rant. Use a reliable word processor and all the problems will come to light. Your editorial process should not involve writing, and correcting the article, with readers playing the role of editor. To a certain extent do we really need WhatsApp nor Facebook? ?? ? The current internet is fairly fine for business to run and banks are working . ..Though again I think it’s a wake up call for businesses to upgrade their system cause I don’t see anything wrong with this cut off and the rebooting of certain services. We needed to loss a few millions to reserve and later on to gain billions. The. comments tell you exactly who uses the internet and for what. George Charamba assumes (very stupidly) that every hooligan needs and uses the internet or every internet user is up to mischief. I don’t know if he’s ever heard about SAAS and even knows how many companies rely on it in Zimbabwe today so that they can pay tax to the “ignorant rulers”. The same stupid logic was advanced to justify the killing of 6 civilians last August “to stem the destruction of property”. Deeper analysis or even application of primary school set arithmetic will tell you that there might be no relationship between the destroyers of property and those shot dead. This is also the same logic used to beat up Kuwadzana residents door-to-door. Clearly the country is led by people with one-track minds. It is terrible to rely on warrior logic all the time, especially when that logic completely erases every other aspect of common sense. One-track thought its called. Does it occur to those “ruling” that the companies in the countries they visited would have wanted to research a bit on Zimbabwe using the internet? I don’t think so. Not everyone using the internet uses social media, in fact most corporates block these (between 8am and 5pm) as these take up huge productive time for for staff. Whatever little respect I had for Mthuli has just gone down the sewer. Thank you EW for spelling out clearly that the govt had ordered the shutdown – next time we hear anything about ICT from this govt it is likely to be bulldust!! Blocking social media is like kidnapping a child and duct taping their mouth shut so that no one will hear the cry for help. Rest assured though, the world can hear the cries. Our Church in the USA prayed for the injustices in Zimbabwe to be resolved. The world is watching innocent people lose their freedom, liberty and money, and those who are responsible for this will never get away with their crimes.